← Saturday night Concert! Rav Gadi Zerbib – UNPLUGGED! 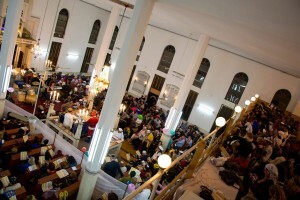 Melaveh Malka & Concert in honor of Rosh Chodesh Adar! 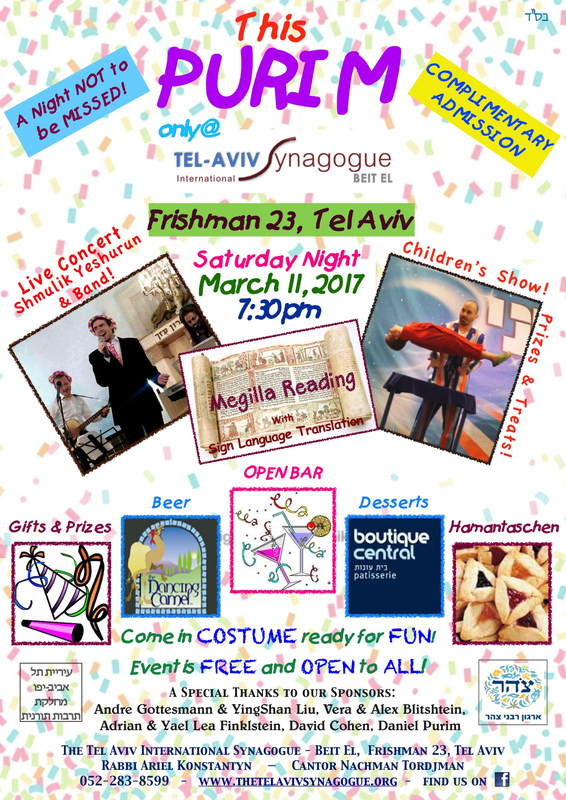 Join us for our 8th Annual ROCKIN’ PURIM at TAIS!!! 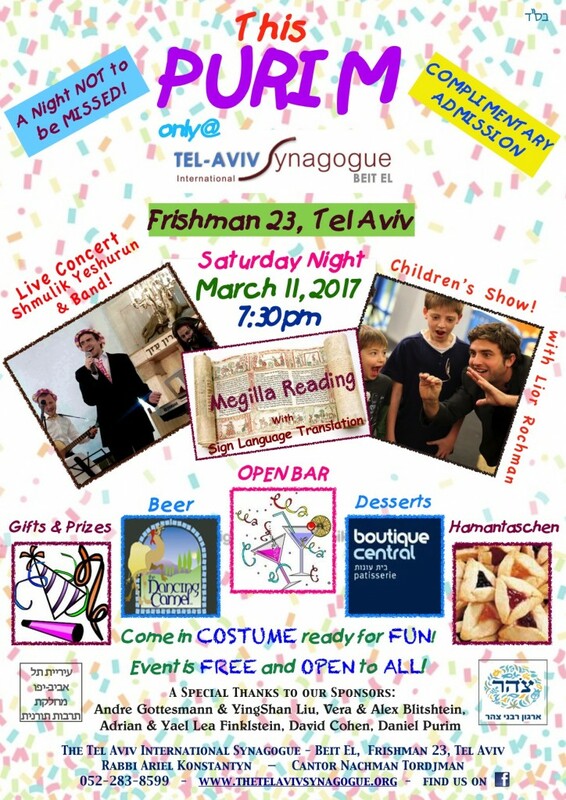 ** Festive Megillah reading with Simultaneous Translation to Sign Language – to be Broadcast around the world LIVE on YNET!!! ** Well – Stocked Open Bar! Quality Wines, Whisky, Flavored Vodkas, Arak, Cocktails & Dancing Camel Beers! ** Family Magic Show with Lior Rochman the Magician! ** Holiday Refreshments with Boutique Central! 9:15pm – Live Music! Open Bar! 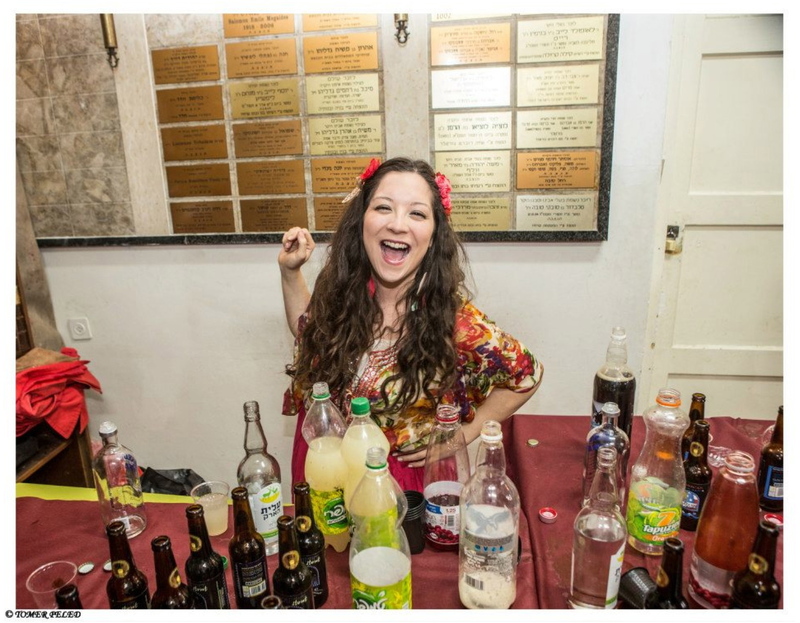 Many thanks to our co-sponsors – Adrian & Yael Lea Finkilstein, Shlomo & Shayna Gottesmann, Vera & Alex Blitshtein, Alan Frank, Daniel Purim, David Cohen, Tel Aviv Municipality – Tarbut Toranit and Tzohar! 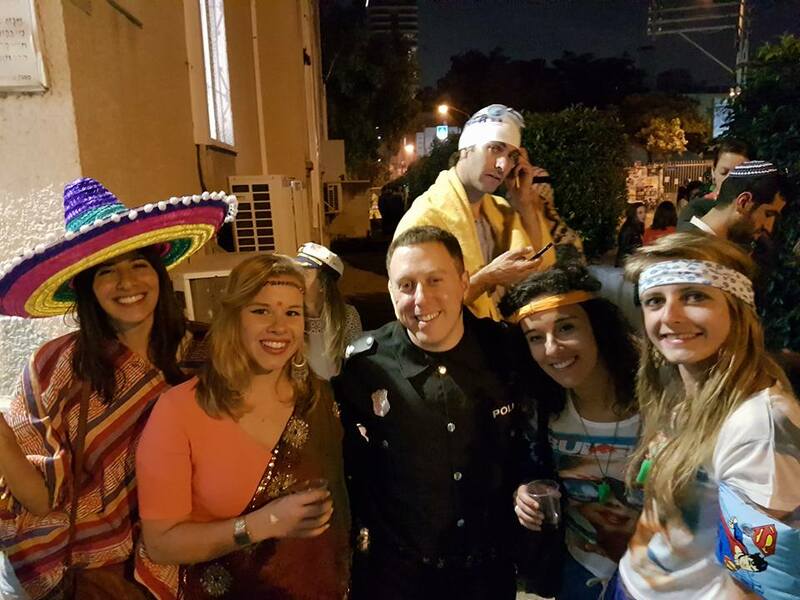 This entry was posted in Community, Events, Holidays, Information, Purim, Torah, Upcoming. Bookmark the permalink.